Back in the days of film filters were sometimes the only way to get a certain “effect”. They could do amazing things like make stars from any lightsource, soften the image, or turn it a variety of different colors. Today, most of the job of filters is done in camera, but filters are not only still relevant, they’re a marvelous “trick” that some photographers haven’t bothered getting to know. They can be indispensable in some situations or they can just be there to protect your lens from dirt or scratches. Read our guide to choosing your first lenses. 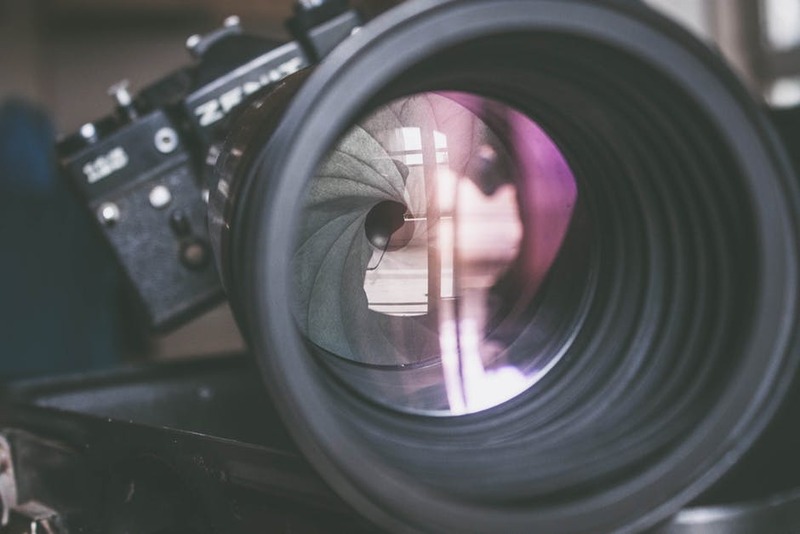 Understand the difference between prime and zoom lenses. The type of photography you do tends to dictate whether you need filters or not. Landscape, architecture, and weather photographers rely heavily on them, while those capturing street photography or animals rarely need them. Many tools is post processing programs mimic filters so there are plenty who question any need at all, but, there are types of filters which just can’t be copied on the computer. Filters are a bit like glasses for your lens. They can help the camera “see” better in intense light, reduce glare, reduce the amount of light, and enhance colors, or change colors. Sometimes filters aren’t helpful, like wearing sunglasses at night. So it’s not just about using the filter but about using the right filter and knowing when to remove it. Essentially a filter is a piece of coated or colored glass inside a frame, and they can cost anywhere from a few dollars into the hundreds. Filters are usually made of either glass or resin, and the quality of glass and whether it is coated or not makes a big difference in the image. Glass filters are better quality but are easier to break, especially when they are square or rectangular which is why many of those use resin instead. There are also some made of polyester and polycarbonate which are thinner and more scratch resistant respectively. 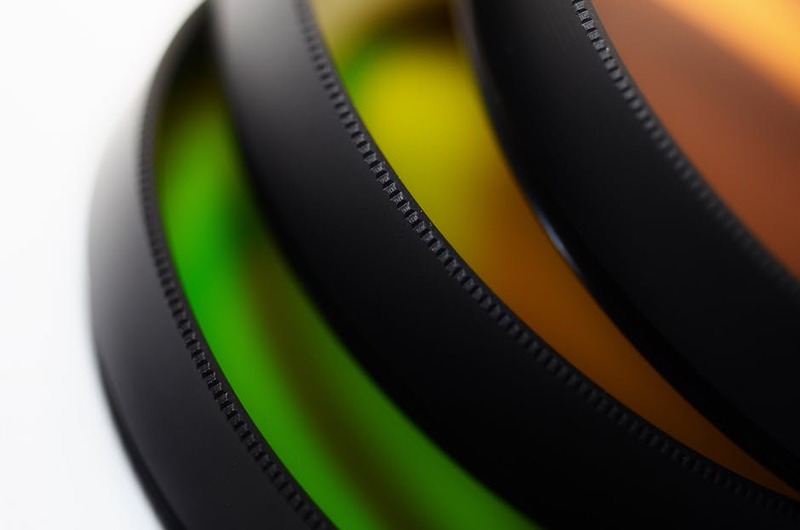 There are four main types of lens filters, with the most common being those which screw onto the end of the lens. They come in a variety of sizes to match those lenses and have different ways of mounting onto the lens. The exception is gel filters which don’t mount to the camera at all and mount onto studio lighting to create colored lighting effects. Circular Screw-on Filters – this is the most common type of filter, and often the cheapest. These thread directly into the threads on the end of the lens and have a corresponding size to the lens e.g 52mm, 72mm etc. The most common are HV, Haze, CPL, ND and color filters. 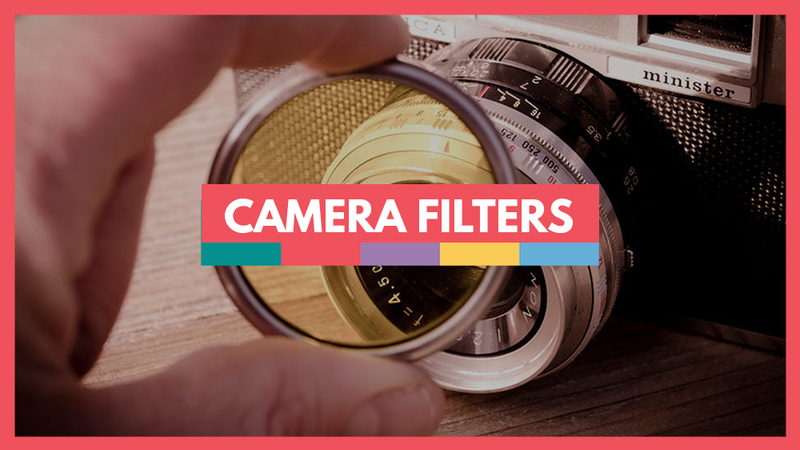 It is possible to put more than one filter on at a time but the thickness may cause vignetting, and other styles may have to be removed again before capping the lens. Square filters are less common but these are usually mounted to a square holder on the lens threads. These are usually 3×3 or 4×4 for larger cameras and can be stacked, though this impacts image quality just like stacking circular filters. Rectangular filters are like square filters but a different shape. Graduated ND filters don’t work well in a circular size so this is often the more popular choice for landscape photographers since there’s more room for adjustment. Drop in filters are used for longer lenses or super wide angle and are used inside the lens between it and the body rather than on the front of the lens. These do not have as much variety as the other types. Unless you want to buy multiple filters you’ll also need step up/down rings. These act as a converter so that your filter can fit on different lens sizes, you can stack these but there’s a large chance of vignetting even by using a single one. They are available in all shapes and sizes and can often be found in a kit that varies from X-Xmm sizes. What Do Camera Filters Do? 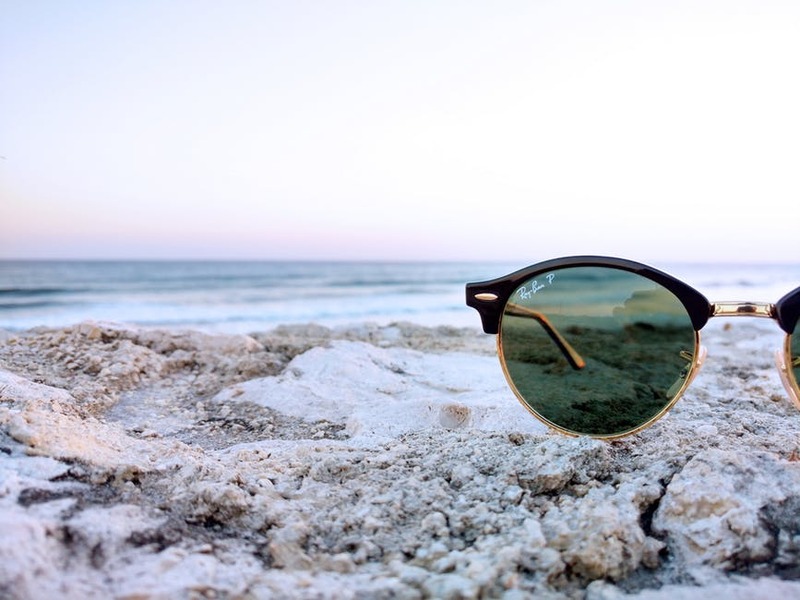 UV/Clear/Skylight – these are generally used for protecting the front glass of your lens. While they used to help keep out unwanted sun rays which could damage film elements DSLRs now have a UV/IR filter built in so there’s no longer a need for them. 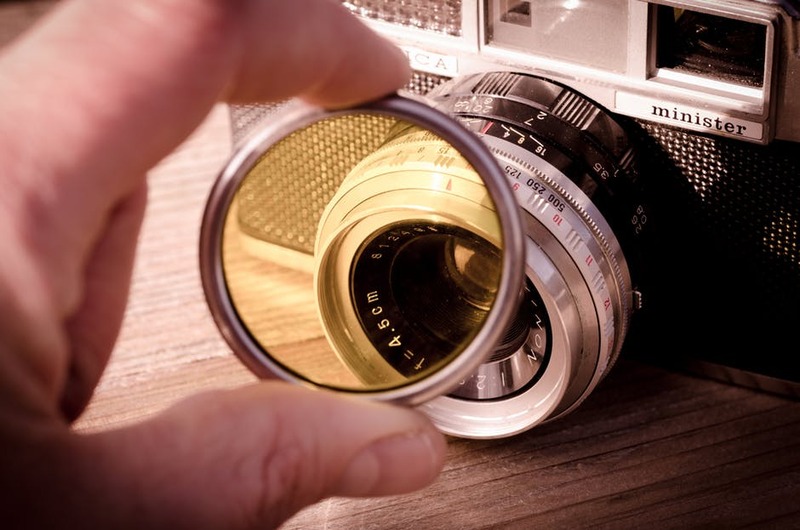 However, keeping one on the end of your lens rarely causes any issues to the image but it’s much cheaper to replace a scratched filter than it is to replace the front element on a lens if it gets scratched. They’re also easier to clean and will protect from dirt/dust getting into the front element. If you’re buying a clear filter look for one that has Multi-Resistant Coating. This helps keep the image clear and stops reflections and ghosts from poorer quality glass. Not all photographers like using clear lenses, and you should avoid stacking these as there is a high chance of vignetting with more than one. Polarizing Filter – there are two types of polarizing filters you’ll come across, circular (CPL) and linear. Linear filters are not suitable for DSLR cameras because they can cause false readings on the metering, while a circular version adds a second glass element that creates a diffusion between the two. The element can be turned in a CPL so that when they are aligned the colors are more saturated, reflections are muted, and the image is better contrasted no matter how your camera is tilted or the light enters. Polarizing filters are also good at removing haze and are essential for landscape photographers to get those extremely blue skiers. The issue with a polarizing filter is that you do have to adjust it for each situation. The maximum effect is at 90 degrees to the sun and usually the filter is marked on the threads showing the direction of increased/decreased effect. The maximum polarization effect is often much too strong and can cause the sky to become almost black. A polarizing filter should not be used on wide angle lenses because it creates a dark distortion in part of the sky because of the way the lens works. When using a polarizing filter you’ll lose about 2 stops which can affect your shutter speed, and because they are thicker than other filters they are also more likely to cause vignetting. 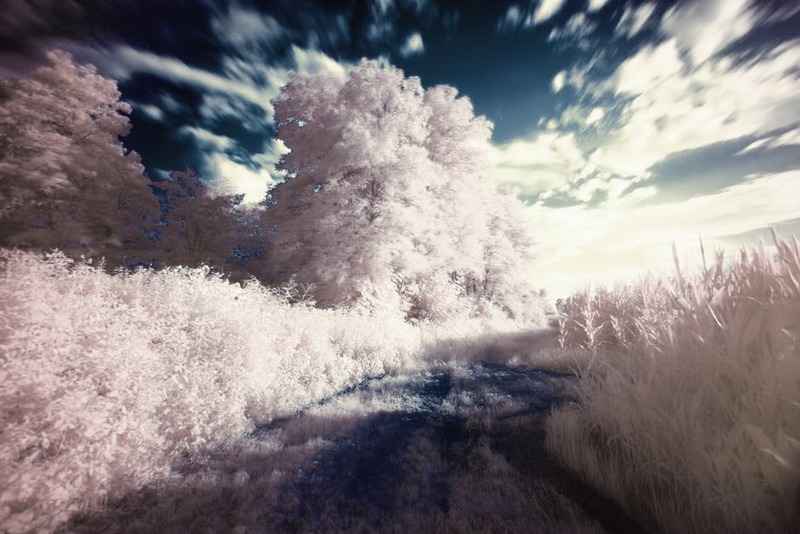 Neutral density (ND) – these filters also act like sunglasses for your lens, they reduce the amount of light coming in so that your shutter speed can be increased and your exposure time decreased without having to change lighting. 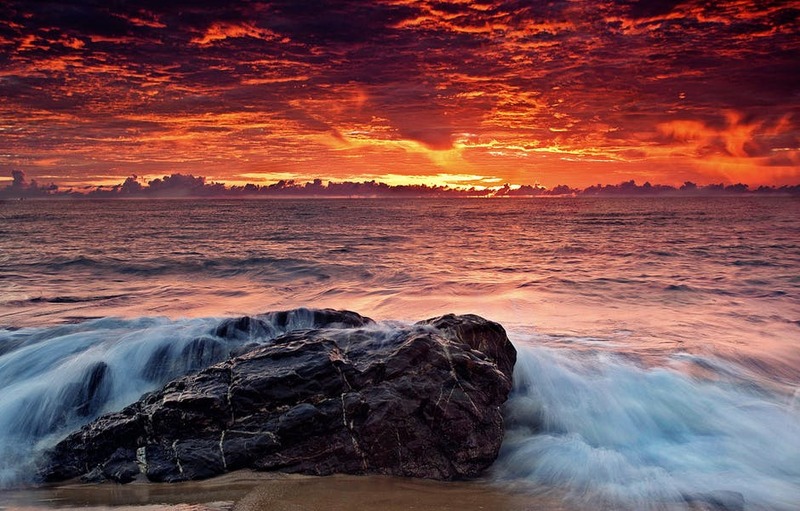 They’re useful in situations of extremely bright light and to create the blurred look for moving water images. ND filters come in a variety of stops to darken different amounts based on the situation. For example if you’re photographing moving water like a river you may have a good daylight ISO of 100, a shutter speed of 1/2000 and an f/2.8 aperture, and this will give you good exposure but not the blurring for a great image. Even adjusting the stops to f22 won’t affect the shutter speed enough to get motion blur so by adding an 8 stop ND filter the shutter speed can be dropped to 2 seconds without having to drop the aperture down to much and lose image quality. Neutral density filters can also come in a graduated type (GND) where one half of the filter is clear. Since most images have different sky/foreground requirements a graduated ND allows for only part of the image to be stopped down. These always come in a rectangular shape but this allows you to stack multiple filters without dealing with alignment but it can add vignetting, especially with focal lengths less than 35mm. GND filters also come in hard edge variety where the horizon line has a very strong and contrasted ND to darken the sky while leaving the foreground light, such as in this image. These only work when the horizon is straight and a soft edge GND provides a much less severe line and is more flexible for the horizon line. There are also now reverse GND filters which have a dark and hard horizon line which gradually softens. These are designed for sunsets where the sun may be very bright but the sky is not which will leave you with a choice to overexpose the sun to get the sky, or underexpose the sky. These allow for a more balanced result where both can be stopped differently simultaneously. Color filters – These are used to fool the camera’s white balance into giving a warm or cool exposure. There are two different types of color filters though, and others can add color so that only that color is visible (though these were more used for film and aren’t really necessary with post processing now). These aren’t used as much because modern DSLRs can adjust all this “in camera” without need for filters. Close Up Filter – these are actually more of a lens than a filter, they’re the poor man’s macro lens which attaches to another lens for macro images. These do tend to give poor quality images and they’re not very useful overall as they won’t really create enough of a focal difference to get a real macro effect. Special Effects – These are also a remnant from the days of film and very few DSLR photographers even know these exist, let alone use them. The star filter for example can be made using blur filters in Photoshop, for example. Filters are an essential part of getting many effects right in camera. While they’re not something many photographers know or even think about they’re a nifty addition that can really save you time in post processing and make things much simpler in camera. ps. the links to any camera equipment above may be affiliate links – which means at no extra cost to you, I can make some extra money to keep this site going. Thanks for your support!